Money bail is a basic underpinning of mass incarceration--and Colorado could take a big step towards ending it. Colorado State Representative Leslie Herod introduced a bill (HB 19-1225) that would prohibit the use of cash bail for petty offenses and traffic violations. And if it passes, people charged with things like shoplifting, not having their license and getting pulled over, or even littering won't have to languish in a jail because they can't afford bail. For these minor offenses, bail is set so low that bail bondsmen don't find it financially beneficial to help people post bail--so it's often a matter of $100 being the difference between freedom and sitting in a cage. Too many of our people, like Sandra Bland and Kalief Browder, die in jail because they can't afford bail--and it's unacceptable. In Colorado, where Black people only make up 10 percent of the population but are 30 percent of people in jail, it's clear the effect bail is having on Black communities: it means more of us locked up, and less of us home with our loved ones. While HB 19-1225 does not end all money bail in Colorado, which is what we ultimately deserve as a people, it is for sure a step in the right direction. Now, we need your help to make sure it passes. Can you sign the petition calling on the Colorado Legislature to do the right thing and pass HB 19-1225? 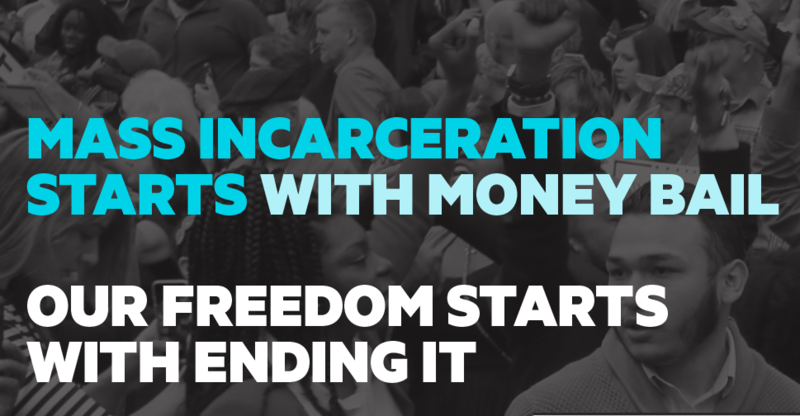 We urge you to pass HB 19-1225, ending money bail for low level offenses and decreasing the number of poor, and mostly Black people held in jail simply because they cannot afford their freedom.